Not all athletics followers may remember, but Natalya Antyukh started her career as a 400m hurdles runner. In 1998, 17-year-old Antyukh even won the Moscow World Youth Games (the event that twelve years later turned into the Youth Olympics) in this discipline. And she was the Russian Junior Champion in hurdles in 2000. 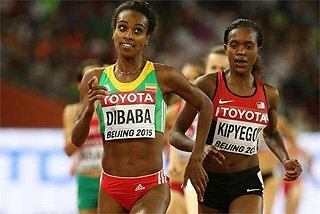 But the very next year, running habitual indoor 400m in the winter, she demonstrated impressive progress, making it to the final of the National Indoor Championships. Her coach Yuriy Anisimov insisted that Natalya should stick with the flat 400m for the outdoor competitions as well. In the first outing of her outdoor season, Antyukh dipped under 52 seconds and was chosen as the third member of the national team for the World Championships in Edmonton. Even though she didn’t make it past the first round, she was sure that she would stick with flat 400 metres for good. Next two seasons brought her numerous relay honours and the win at the 2002 Vienna European indoor Championships. But the real breakthrough year for Antyukh was 2004. At that time she was already working with her current coach Ekaterina Kulikova, but still running hurdles only for training purposes. Anyway Natalya didn’t seem to regret it too much. In July she won the silver at the National Olympic Trials with her first ever under-50 result (49.85) and became an Olympian. The Olympics were like a fairy tale for the Russian. Firstly, she won her heat in the first round. Then she finished second in the fastest semi-final with the third time of the round. 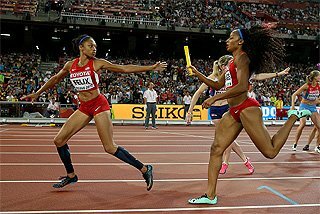 But still she wasn’t considered as the favourite, lining up against the Russian champion Natalya Nazarova, experienced Ana Guevara and Tonique Williams-Darling and young and ambitious Sanya Richards. 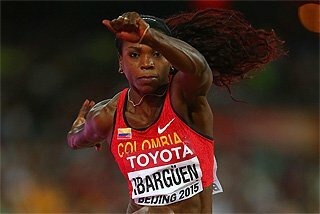 But she made an impossible happen, moving from the sixth position to the third in the last 40 meters. “The semi-final race was the hardest for me. I was really afraid that it would be my last run in Athens. When I finished in second place, I got the weight lifted from my shoulders. 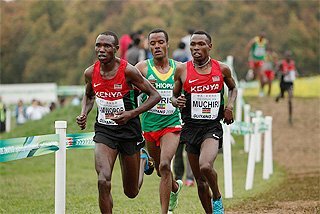 And the final was like I dream, I even don’t remember what was happening in the race, I just recall how I couldn’t believe I’d just won a medal until I saw the results on the screen,” Antyukh said. The next years turned out to be gruelling for Natalya. 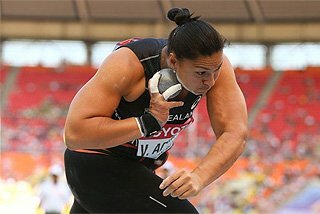 After winning individual bronze and relay silver in Athens she was extremely motivated to be competing again. So she started to race much more often than before, simply wearing out her body. And to make matters worse she lost her mother. This loss left her shocked and emotionally drained. She kept working hard, winning national medals and being a part of the successful 4x400 relay team, but didn’t see any personal progress. “At one point right in the middle of the season I came to my coach and said that I needed a break and that either I was leaving for a vacation immediately or I’d quit. She was very surprised, but couldn’t do anything about it. So I left for Singapore with my friend, swimmer Igor Marchenko, to relax and distract myself a bit,” Antyukh said. 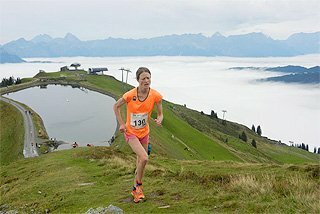 That much needed rest helped her to get her motivation back right before the Olympic year of 2008, but bad luck at the National Trials – she slipped and fell in the final – left her out of the team. “I didn’t even watch the Olympics that year. I believe that during the 400 m final I was walking along the streets of Paris. But I didn’t consider quitting sports. This kind of thoughts always come up after bad races, but I can get over them pretty quickly,” Antyukh explained. The following year, at one of the training sessions, Natalya decided to try to run the 400m hurdles, just out of curiosity, but it turned out that her body still remembered how to run this event. So she decided to make another experiment – to compete in a hurdles race. Just a couple of weeks before the 2009 World Championships, at the Russian Cup, she made her senior debut over 400m H. She ran 54.19 – the best time in Russia that season and the fourth in the world. “I was 6th at the Nationals on the 400m, so I was only a relay alternate for the Worlds. 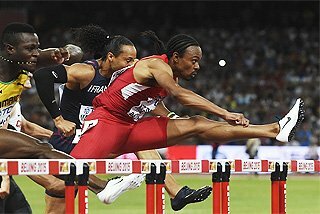 I planned to run 200m at the Russian Cup, but at the last moment I decided to try hurdles instead. 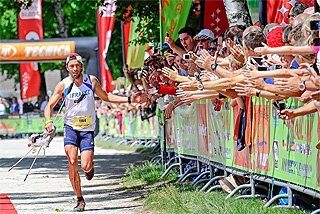 I wanted to run this event for a long time, but was afraid to risk, but it was the moment when I had nothing to lose. I was running relaxed, didn’t even count the steps between the hurdles, I was just having fun. But after my unexpected fast time, I was told that I was to run hurdles in Berlin and then I suddenly felt nervous,” Antyukh laughed. By the way, it is in the nature of Antyukh to run take risks. For example in the off-season of 2011 she took part in the Russian version of “Wipeout” TV-show. “Watching this kind of shows on TV we always think that for us, professional athletes, this shouldn’t be too hard. But in fact it was. It was not that easy physically, but it was even more hard mentally, I was really scared at times, especially while being catapulted from the giant water ramp. And of course you are always being cautious not to get injured in any way,” Antyukh recalled. She also gave bobsleigh a thought, but considered it too dangerous after the crash of ex-sprinter Irina Skvortsova. “Even though Irina was unable to even walk for a long time, she was saying that she wanted to get back to bob. I just don’t get it, it’s too much. But I do follow this sport as there are several Russian track and field athletes competing,” Antyukh said. And one of those athletes is Natalya’s brother Kirill who also ran 400 m hurdles until 2011. Even though Natalya ran a fast time at the 2009 Russia Cup, nobody expected her to make miracles in Berlin, as consistency in hurdles requires a substantial amount of racing. But, not having too much pressure on her, Antyukh exceeded all expectations making it to the final and taking the 6th place. “I was getting more and more experienced from round to round as I was trying out different strategies. But there was only one main thought in my mind all the way – not to fall. After Berlin I was sure that I would switch to this event fully. I even had some regrets about not switching earlier,” Antyukh admitted. She was right, with the specific training she managed to a whole new level of results. It became obvious when she won the 2010 European Championships in 52.92. “I didn’t expect to run this fast. And I was very happy to beat the championships record, as it belonged to my compatriot Marina Stepanova(-Makeeva), a person that I knew rather well personally and always admired. After that race I didn’t think that the World record (52.34) was close, 0.6 sec is actually quite a lot, but it was definitely much closer than ever before,” Antyukh said. The season of the Daegu World Championships went smoothly for the Russian. “It was the first time in many years that I wasn’t stressed at the national championships. I knew that I would win if I didn’t make any major mistakes. 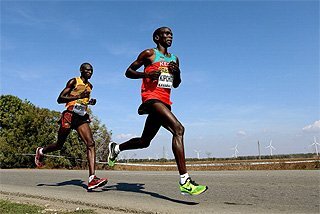 I just ran on my own, testing my speed to make sure that I was prepared for Worlds,” Antyukh said. Indeed she won the Nationals in 53.75 with a one second margin over the second place. In Daegu, Antyukh ran 53.85 to get the bronze behind Lashinda Demus and the Olympic champion Melanie Walker who both dipped under 53 seconds. “I’m a sensible person, so I realised that Demus and Walker were far superior. But I was very satisfied with my bronze and with the fact that I was still the best in Europe,” Antyukh admitted. But Natalya also didn’t deny that the final race was technically imperfect. 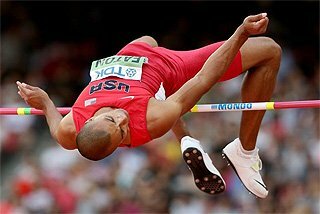 “The first hurdle is always the trickiest for me. And that day it let me down again. I made 22 steps to it instead of 21, so I ran all the hurdles in the race taking off with the “wrong” leg. The thing is that my flat speed that season increased by so much that I struggled to deal with it over the hurdles,” Natalya explained. So the pre-Olympic off-season consisted of endless hours of speed work and technical adjustments. To relax and distract herself during the non-competition period, Antyukh loves to embroider pictures and to play with her pet – a tiny dog. Nataya is also a collector: she collects Starbucks’ teddy bears from the cities around the world that she’s been to. And of course she wanted to bring home one from London. The Olympic year always brings surprises and there it was: a surprising world lead at the European Championships in June by the young Russian, Irina Davydova. But she was given a bye into the Olympics, so the National Trials were once again stress-less for Antyukh. In Cheboksary she ran a world lead of 53.40 all by herself. 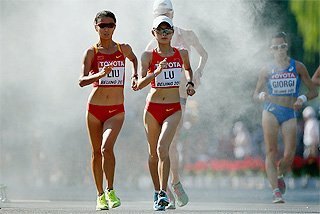 “I just wanted to run fast to be confident about my shape ahead of the Olympics, and I did it. Nothing different from last year, basically,” Antyukh said. She often hears about the comparisons between her and Irina Privalova, the Russian 60m and 100m sprinter who switched to 400m hurdles and after just one season in this event won the Sydney Olympics. “I respect Irina very much, she is one of the greatest athletes ever. But I didn’t think of her as a role model when I switched events. I did it because I knew how to run hurdles from my youth. Actually my role model in running is Michael Johnson. 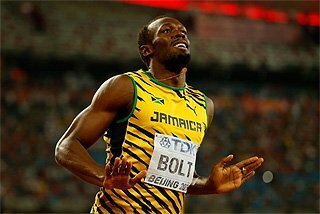 When I watched a tape of my Olympic final in Athens and heard a commentator comparing me to Johnson, I was just ecstatic!” Antyukh smiled.